17 November, 10p.m., and I think it would be fair to say that all three of us in the Shackleton Trio, Lesley Schatzberger, Ingrid Pearson and me (Margaret Archibald) were relieved to have got through our Gala Music Matters evening without squeaks from our dangerously volatile period basset horns! We had revisited the recital programme previously offered to the basset horn convention in Kandern, Germany. Mozart Divertimenti were in pride of place, together with some lollipops from Don Giovanni and Figaro, some trios by Bohemian contemporary Druschetzky, and pieces from the trios of Mozart’s fellow freemason Anton Stadler, himself a player of the basset horn and the pioneer of the basset clarinet. A tiny gem of an Adagio by Abbé Vogler completed the music menu. For the food menu, I spent all morning on the day of the Gala in my kitchen, frying Spanish Omelette, baking Red Onion, Fennel and Red Pepper Flan, packing chorizo, almonds, manchego, olives and bread, finding dishes, assembling bottles of wine and Cava, and delegating the fiddly Peach and Bresaola Ham Nibbles to my son Rob who managed with some aplomb to spear the ingredients with cocktail sticks. in The Chapel, 7 for 7.30 – 9.30p.m. Whitgift House stands in the grounds of Whitgift School, but with its own gate on Brighton Road. Do not go up the hill to the school. If you are standing on the drive facing the house, you will see to the left of the house a large wrought iron gate leading through into part of the garden. The chapel is accessed by going into the garden through this gate, and then going through the very first door on your left. Tuesday 20 October: Nicoline Kraamwinkel violin and Rosanna Rolton harp introduce their duo programme at Whitgift House, 76, Brighton Road, South Croydon CR2 6AB in The Chapel; doors open 7 for 7.30 – 9.30p.m. Nicoline Kraamwinkel, Dutch born, studied in the Hague and London. She has worked with many of the chamber orchestras in London, is a member of the London Mozart Players and works for Garsington Opera. Her performance of Brahms’ Violin Concerto in the Concertgebouw Amsterdam was televised. She is a founder member of the Chagall Piano Trio. Nicoline’s daughter Rosanna Rolton is an advanced student at the Royal College of Music. She is a member of the European Union Youth Orchestra with whome she has toured widely throughout Europe and has won many competitions, most recently the International Harp Competition in Italy. Rosanna is currently making her first CD and has already given many recitals including in the Royal Festival Hall and at last summer’s Three Choirs Festival, and also in Italy. 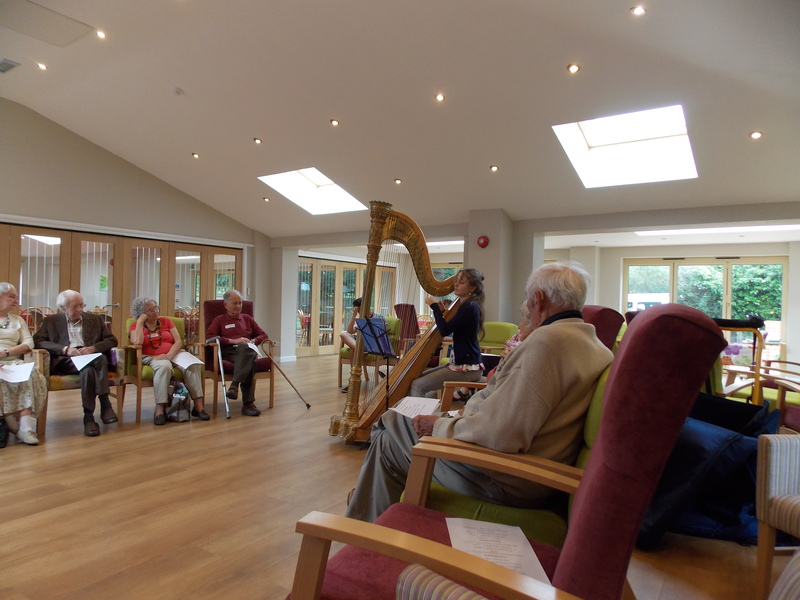 If you have to miss Tuesday at Whitgift House then you might like to catch Nicoline and Rosanna in Bromley on Wednesday 28 Octoberat 2.30p.m. 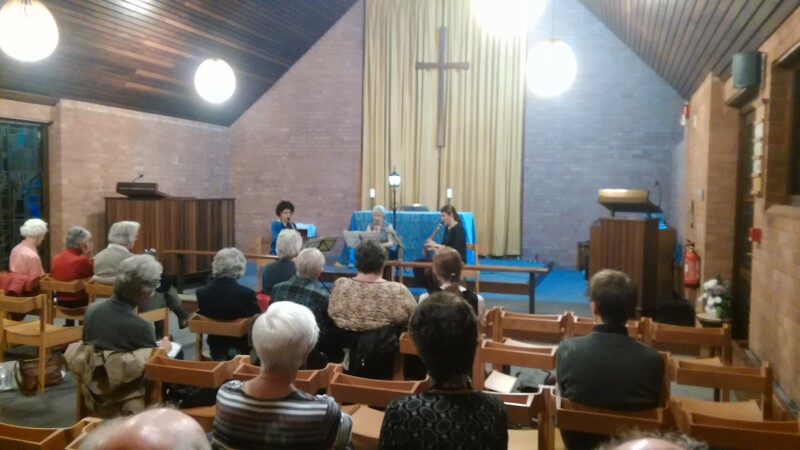 for Musical Offerings in the Church Room at St Mark’s Church, Westmoreland Road, BR2 0TB when afternoon tea and home-made cakes will be served. Entry to non-subscription holders is £10 on the door and contributions towards the refreshments help to support these lecture-recitals. The new series of Music Matters lecture-recitals starts on Tuesday 9 September at 7.30p.m. The beautiful setting of the Chapel at Whitgift House is once again the venue for our fortnightly Tuesdays. A subscription of £71 for the full autumn season represents a saving of pretty much 21%. If your Tuesdays are often busy then please do come along whenever you can and simply pay on the door, £10 per lecture-recital and £20 for our special Gala Night. Their sounds in my ears – the violinists I grew up with! 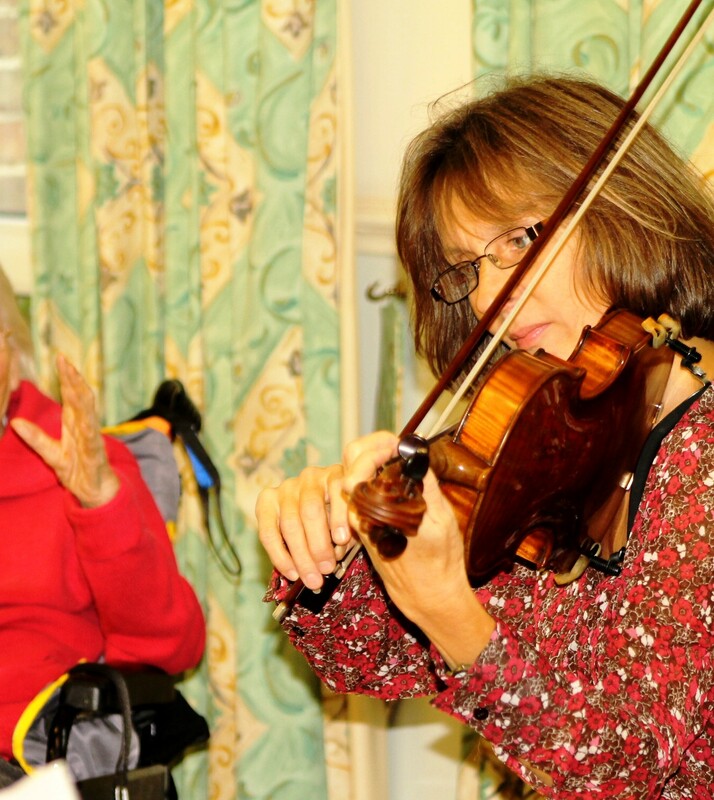 David, violinist extraordinaire of World Busk fame, now crams his days as soloist, as leader of numerous orchestras and of the London Tango Quintet, and as Founder of the charity Musequality. Violinist Maya is re-establishing a busy freelance career in London after returning from several years living in Los Angeles and working in the film industry there. She has made several historically informed solo and duo recordings and will soon reveal who her duo partner will be this December! If you would like interval refreshment you are welcome to bring your own tea or coffee; the pews may seem hard after a while so feel free to bring your own cushion! Whitgift House stands in the grounds of Whitgift School, but with its own gate on Brighton Road. Do not go up the hill to the school. The gate is just north of a bus stop, opposite Choices estate agents with its bright red and yellow sign. The bus stop is more visible than the entrance! If you are standing on the drive facing the house, you will see to the left of the house a large wrought iron gate leading through into part of the garden. The chapel is accessed by going into the garden through this gate, and then going through the very first door on your left. The Chapel does have toilet facilities. Free on-site car park facilities are available to our group members as space allows. Buses stopping outside Whitgift House are: 407, 312, 60, 166, 466. Also buses: 119, 468, 405, 403 stop nearby at the Swan and Sugarloaf. The nearest station is South Croydon, and East Croydon station is a brisk walk away.